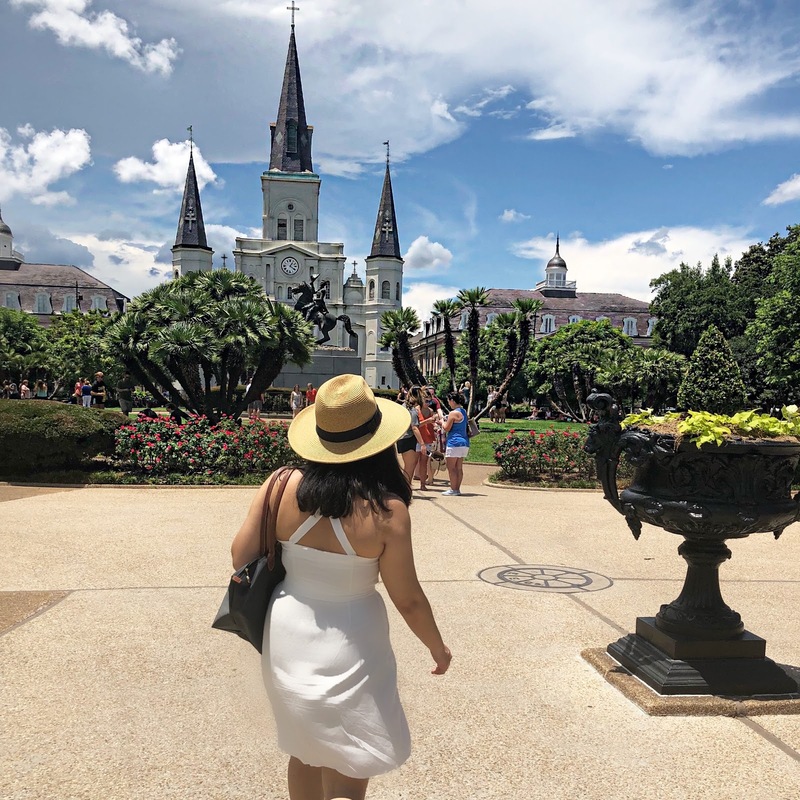 Planning a weekend trip to NOLA? What to do? Where to eat? Where to go? 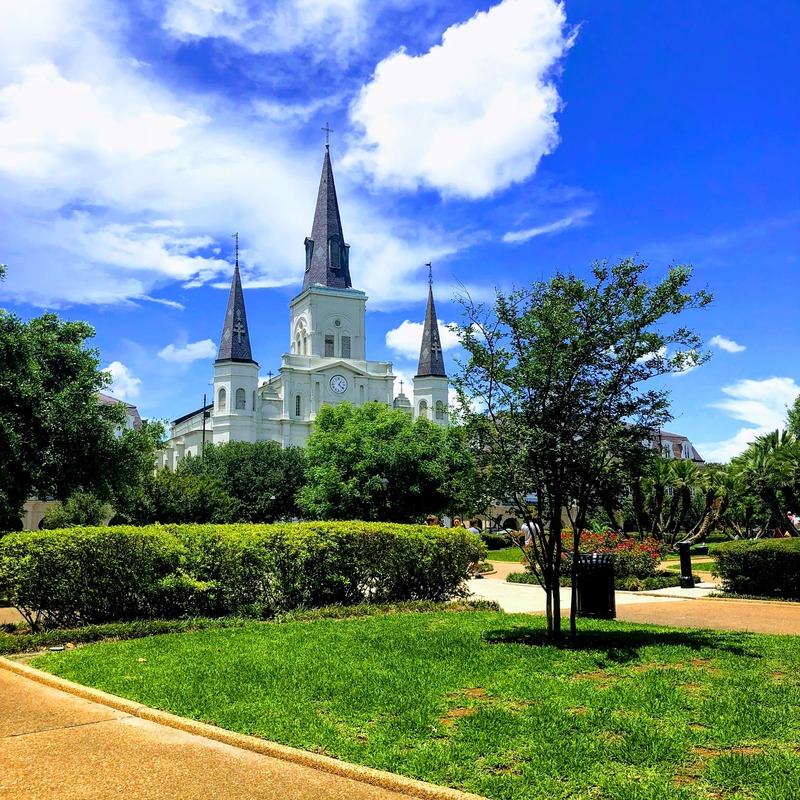 Here some good places and things to do during your weekend trip to New Orleans. New Orleans is well known for its amazing tasty cuisine. With so many good places you will not know where to go. I usually like to try always something different. Although I am recommending the Court of Two Sisters in my last NOLA post, there are two new places I just tried this time. Here are three restaurants I visited this trip and recommend. The Court of Two Sisters is a MUST! I just keep coming back for more. We were there for brunch. It is a buffet and I usually do not like buffets. Just because they always mix cuisines and that just makes my stomach turn. This buffet is different they only have Louisiana Creole Cuisine. From jambalaya to gumbo and they even have kings cake! I recommend making reservations in advance because it is always super busy. This restaurant is located at 613 Royal St. To make reservations click here. Napoleon House is a 200-year-old landmark that serves as a casual and unique restaurant. This place is super laid back and cute! The food is good, mainly consists of sandwiches, cheeseboards and some of the popular Creole Cuisine dishes. They also offer the famous "Pimm's Cup" which is this place signature drink. This place is also a must to grab a drink and a bite! For more information click here. Pierre Maspero's this place has authentic Cajun food. We were there for brunch and I ordered the Crescent City Sampler. It came with Etouffee, Jambalaya, and Gumbo. I wanted more! Just delicious. They offer breakfast, lunch, and dinner in case you want to visit. This place gives you the French Quarter casual dining experience. For more information click here. There are so many places to see in New Orleans. Everywhere you turn around you will be surrounded by beautiful French architecture. My Favorite is Jackson square park. It is just a unique place. Music, art, food, and beautiful building surround this place. Royal street is also one of my favorite streets to roam around and take pictures of the colorful buildings with hanging flower pots. There are so many places to shop! Royal has many cute boutiques, art galleries, and antique shops, which are charming. I usually only window shop because I never have enough room to bring back. But one of these days I will bring an extra bag just for shopping. I also visited the casino. I never play but I felt lucky that day and gambled $8 and won $80. I was very excited! Honestly, New Orleans is always a great weekend getaway. I always have so much fun and eat amazing food! What else can you ask for? Silk Scarf as a Hair Tie? Yes, No, Maybe So?